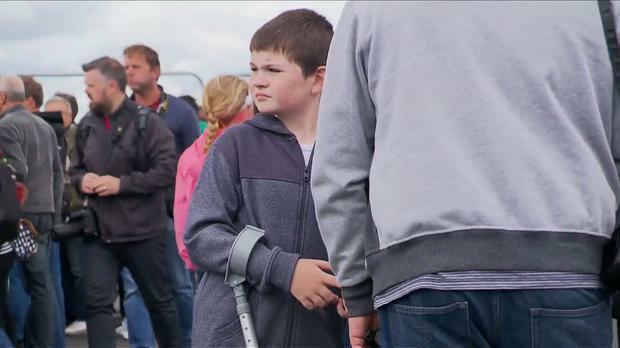 A YOUNG who is battling a very aggressive form of bone cancer was given a day to remember yesterday, as he was lifted high into the skies at the Shannon Air Display. Young Stephen Reilly (11) suffers from osteosarcoma since he was six and had to have his right leg amputated. The Eyrecourt, Galway youngster is a big fan of planes and aircrafts, so his parents got in contact with Shannon Airport to see if they could arrange a special treat at yesterday's air show for their brave son. 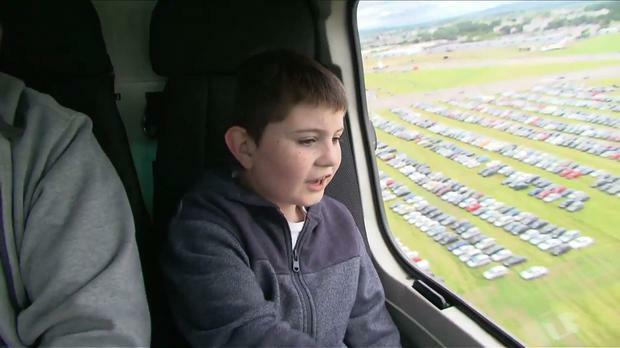 Stephen was given the thrill of a lifetime yesterday, when he was given a special ride on a helicopter over the show, which was attended by 40,000 spectators. 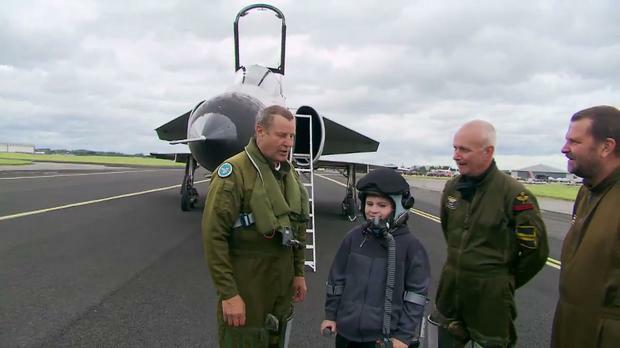 The flight was a dream come true for Stephen, whose other favourite moments at the display were jets and stunt fliers alongside his father Michael, mother Nora and younger brother Daniel (9). “It was the best day ever. I didn’t think an air show could be such fun," he said. It was also a special day for his father, who was delighted Shannon Airport organised such a treat for his brave boy. "He has been through an awful lot over the past six years, more than you could imagine. He has undergone chemotherapy and leg salvage surgery. He then had his leg amputated in 2013 but he has been unbelievably brave. He has just gotten on with it," Michael said. “So when we heard about the Shannon Air Display in local media we just took a chance and emailed the people here at the airport and they arranged what has been an incredible day for Stephen and for all of us. “The helicopter trip was the highlight. Just to see the smile on his face as we sat in and got up in the sky. It was great that Daniel got to come also. Moments like that just give you back so much." Stephen's day was organised by both Shannon Airport and Executive Helicopters.